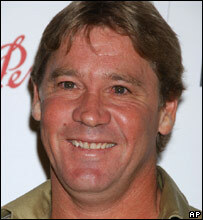 ‘Crocodile Hunter’ Steve Irwin died after being struck in the chest by the stingray’s barb while he was filming a documentary in Queensland’s Great Barrier Reef. This guy was my favorite wildlife activists and I loved his show on Discovery channel and now he is no more. I loved the way he handled those dangerous reptiles and the way he presented that they were harmless creatures. May Steve’s soul rest in Peace. them. Also, coupons, and thrifty finds in Columbia. The different types of coupons that many stores alter their coupon policies.